Jurisprudence is one of the most important sources of law in the examination of a case, as well as in Indonesia. 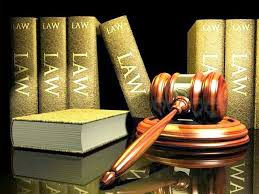 It mainly deals with the provision of Article 16 paragraph (1) of Law No. 4 of 2004 which states that the court may not refuse to examine, hear and decide a case filed with a pretext, that the law does not exist or is less clear, but obliged to examine and adjudicate. In that regard, the proposition "the law does not exist or is less clear" is certainly not a reason to not check or prosecute a case. That is the condition of the legislation does not exist, then to concrete cases submitted to the court, the judge must still perform the function of law-making by digging, follow, and understand the legal values and sense of justice in society. It is then known by the interpretation and produce legal products which are then referred to jurisprudence. Although the latter appears less precise perspective, when the court decisions that have permanent legal force in the reference and mentioned as a jurisprudence. Perspective refers only to a court decision, not the same meaning as already referred to a jurisprudence. 4. The verdict was already satisfy the justice community. 5. And the verdict was confirmed by the Supreme Court. Observing the requirements of the existence of a court as a jurisprudence, the jurisprudence of the substance of the rule of law is created judges, is imposible and thus became one of the sources of law. In the broadest sense, can be regarded as the discovery of the law by the judge. In this regard, it is not all court decisions can be out in the field as jurisprudence. What this means is that by simply referring kekeli a court judgment which has the force of law remains, later termed as a jurisprudence. As has been stated, that the very essence of the real jurisprudence in those cases concrete settlement submitted to the court in the same case. How to shape similarity case, certainly not on the road peristiwannya, but rather related to the nature and substance of his actions, so that the same case did not occur difference in legal treatment. Perhaps, there are many similar cases were severed with a different verdict. Though it will not happen if the latter refers to the judge's decision or follow jurisprudence. Would thus supposed to decisions that judges should decide later to follow the earlier verdict. It becomes important, especially with regard to legal justice and the rule of law and public confidence in the courts.